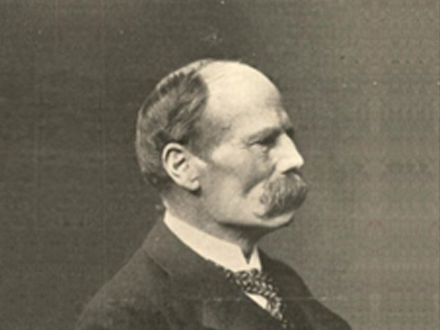 Benjamin Baker (1840 – 1907) is best known for taking on the most daring of all the Bridges that rose from the Victorian age through maverick approaches. 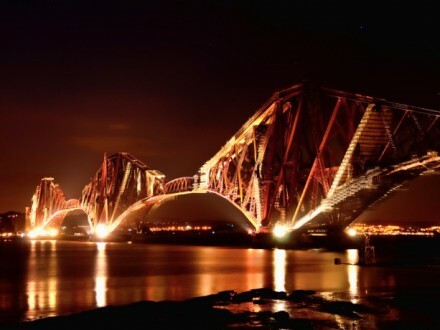 His most epic is the Forth Bridge that still stands proud outside Edinburgh today. 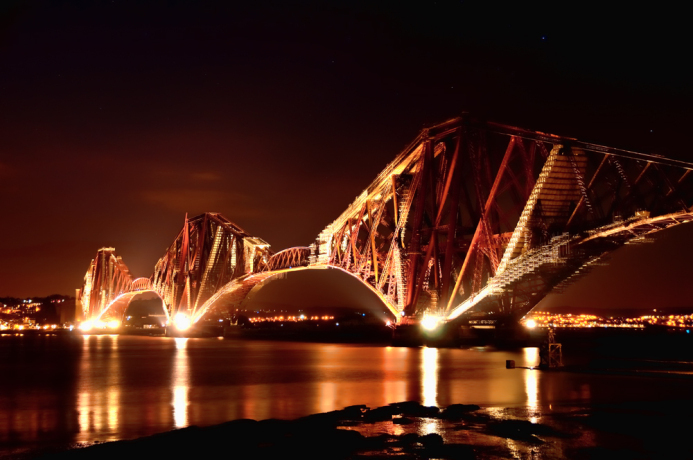 Over 200 trains cross the 1890-era structure each day, and although it has since shared the limelight with the Forth Road Bridge, it had been spanning the water 70 years before its sister bridge was even started. Known at the time for his bravado and independence, Baker pioneered faith in the relatively new design of a cantilever bridge. At the time it was considered controversial, but has since become one of the most popular bridge types of the modern world. Baker led by example – building what was then the world’s largest spanning bridge using the bold design. Daring to use the relatively new material of steel to pull off his master plan, Baker was able to forge a lasting landmark. However, what makes it even more impressive is that Baker attempted this in a setting that was not in his favour. 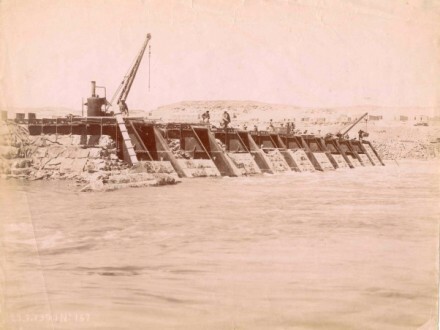 The Tay Bridge Disaster of 1879 was fresh in people’s minds and although many lessons were learnt, a wave of scepticism came over critics that Engineering was advancing dangerously fast. Too fast. Famously, Baker persuaded investors by explaining his concept through a mime. 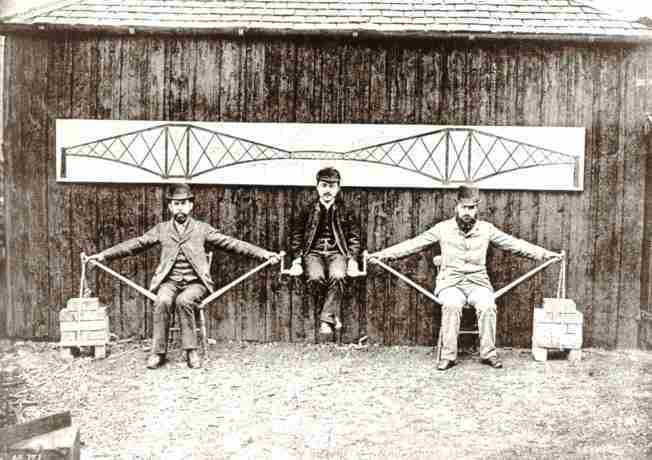 He arranged some of his key team members so as to model the principles of the cantilever bridge. This demonstration is still carried out at University today to explain the structural system at play. The suspended span is represented by the central character – Kaichi Watanabe – sitting in the middle. 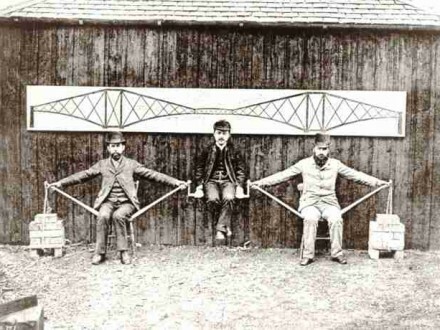 The need to resist compression of the lower truss is seen in the use of wooden poles while the tension of the upper truss is shown by the outstretched arms of the two other men at either end. The counterweights demonstrate the need for the outer foundations as anchors for the cantilever. The increasing integration between engineering and architecture is often seen as a modern phenomenon – but the roots of this change actually started in Baker’s day. Baker’s bridge is often cited as the first example of ‘Structural Expressionism’, the idea of considering the appearance of the structure as a significant element in the design. Some say Baker had the hidden aesthetic flare of an Architect: some say it was all realised in retrospect, but what really matters is that it got Engineers thinking about the aesthetics of their design.